Friday’s are for fun, which means no time for fussy, time consuming hair styles. No problem: the all mighty braid trend seen on the runways of the most chic and cool designers (Rebecca Minkoff! Mara Hoffman! VPL! 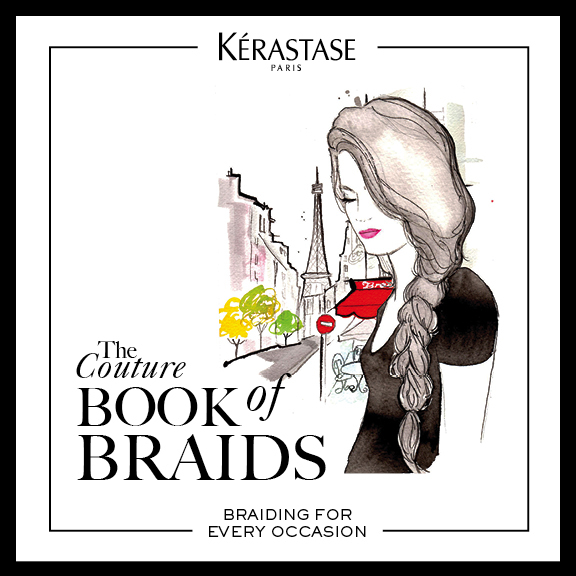 The list goes on and on and on) is now a breeze to achieve with hair boss Kérastase PARIS’ brand new Book of Braids. Taking you from your barre class to the bar and everywhere in between, the Book of Braids boasts 100 pages of tips, tricks and how-to’s, all complete with goof proof product pairings (including the brand new Kérastase PARIS Matéraliste, which is designed to provide thickness and texture to braids and hairstyles) and stunning illustrations. I’ll be trying ‘The Not a bad Hair Day Side Fishtail’ this evening — click here to download the book for free and get your braid on, too.